This YA novel opens with three children taking refuge in an air raid shelter as bombs fall on London in 1944. The youngest, Evelyn, wishes with all her heart to be ‘anywhere but here’ and the three are transported to another world where the magical Woodlands are protected by Cervus, a powerful, but benign, stag. After years in this magical realm, living as Woodland queens and warriors, Jamie and Philippa, the two eldest, ask to be returned to their own world, taking Evelyn, whose heart belongs to the Woodlands, with them. They return to the same place and time in London, and then need to work out how to live their lives in this world. The link to the Narnia books is unmistakeable as the author poses the intriguing question of what happens to characters who return to the real world after years in a fantasy one. The narrative is split between Evelyn and Philippa, both of whom struggle in different ways. Evelyn, overcome with longing for the Woodlands, cannot cope with life in the real world, and her narrative presents a distressing and emotional portrayal of depression and self-harm. Philippa, overwhelmed with guilt for causing her sister’s despair, seeks to present a confident, flawless exterior and battles to protect Evelyn at great cost to herself. When Evelyn disappears, Philippa is forced to confront the painful truth of her sister’s mental state and to try and discover whether her sister did manage to find a way home or if she drowned herself as everyone else believes. This lyrical, enigmatic Y.A. novel exerts an emotional pull as its quiet build up, slow pace, strong characterisation and references to poetry and art draw the reader in to a mystical and ambiguous world. 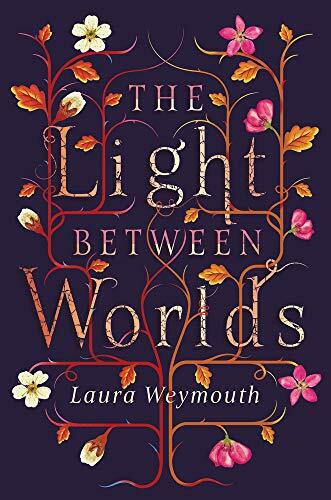 The narrative structure is complex as the story splits between Evelyn and Philippa, between the Woodland and the real world and between present and past. Evelyn’s narrative is painful in its depiction of severe depression, self-harm and possible suicide and Philippa’s in its portrayal of almost unbearable guilt. The reader must decide how much hope there is in the end as ambiguity about the truth forms part of the story. The author may have tried to combine too many elements in this first novel, but the premise is a captivating one and the themes of sibling love, grief, loss, guilt, healing, change and the need to find a place in the world, are explored in an intensely emotional way.